Lexington, KY- Mark your calendar, plan the party and get the big screen ready! For the first time in its history, the Rolex Equestrian Championships presented by Land Rover will air LIVE on NBC Sports, Sunday, May 1, from 2:00 - 3:00 p.m. EDT. 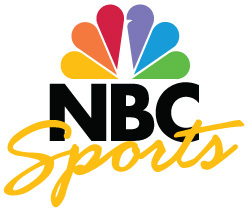 With the support of the United States Equestrian Federation (USEF) and Equestrian Events, Inc., organizer of the Rolex Kentucky Three-Day Event, presented by Bridgestone, NBC Sports will broadcast the final show jumping rounds LIVE, alongside taped highlights of the dressage and cross-country phases. One of the world's most prestigious equestrian competitions and America's only CCI4*, Rolex Kentucky returns to the Kentucky Horse Park in Lexington, April 28-May 1. The event attracts tens of thousands of spectators and millions of viewers on telecasts worldwide. "Those final rounds during show jumping are full of suspense and excitement - you just never know when rails will fall," said Lisa Ball, President of Equestrian Events, Inc. "We are thrilled that fans across the nation will be able to share in that excitement along with the thousands of fans here at the Kentucky Horse Park." Past winners of the Rolex Kentucky Three-Day Event include United States Olympic Medalists David and Karen O'Connor, Kim Severson and Phillip Dutton, New Zealand's Blyth Tait and Nick Larkin, Pippa Funnell and William Fox-Pitt of Great Britain and Andrew Hoy, Clayton Fredericks and Lucinda Fredericks of Australia. To find out more about tailgating and ticketing packages available for the 2011 Rolex Kentucky Three-Day Event, presented by Bridgestone, visit www.rk3de.org. Tickets may be ordered online, or by printing the ticket order form from the website and returning it via mail or fax 859-254-5116 to Equestrian Events, Inc. Tickets may also be ordered by calling 859-254-8123. Advance ticket sales close on April 10!